Discussion in 'Spyderco' started by sharp_edge, Mar 8, 2019. Do we know what Military sprint runs or dealer exclusives will be in line next? Hesitated on the BHQ DLC M4 Military and finally missed it How about a sprint run Military with DLC 4V steel and cherry red g10? The new reveal system kind of taking the fun out of Sprint run anticipation in a way. I am just wondering what kind of millies people are expecting...or maybe the interest in the millie is drying up? Pharmagator, TX180SX and Pokerchip like this. What's the new reveal system? Pharmagator and TX180SX like this. 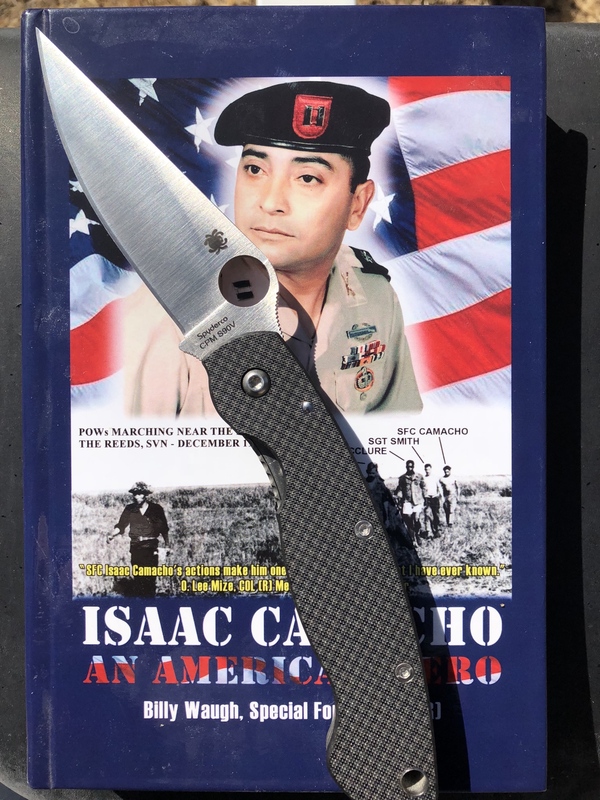 How about a red g10 M390 Military from DLT? @[email protected]? Va.koi guy, bigolegator, blame it on god and 5 others like this. id Buy an elmax milli if that ever happened. My only experience with elmax was in a zt561. I’d like to try it in something that isn’t so thick. Cursum Perficio, Pharmagator, Va.koi guy and 2 others like this. Tactile sTyle, Chalet and Rusty_shackelford like this. A Lc200n Miltary would be sweet. Mo2 and 5-by-5 like this. RWL34, Elmax, LC200N, K390, 10v, 4v, 3v. CF, foliage green, orange, dark tan, canvas?, red, full ti. I will buy any mil that comes out though. Military like this one, only in CPM 3V. Pharmagator and Riz! like this. Cruwear Military in any shade of G10 is an insta-buy for me. That would be awesome. But I would take a grey/tan version with 20cv also. Honestly I'd buy both lol . K390, 10V, or 15V would be my vote. I don't expect any of them. at all times. lol l love the Millie, so my funds are waiting!